I-PRO is at the forefront of research, technological innovation, strategic marketing and training. A services company with an expertise in writing and management of national and international projects. 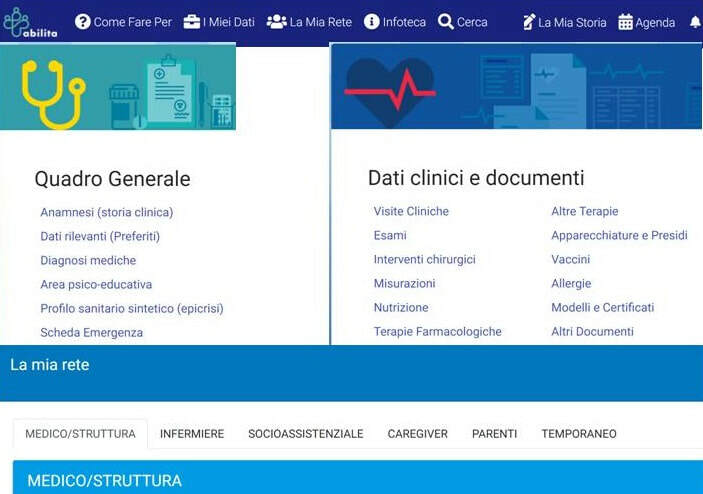 March 2019 - ABILITA2 enter in the test phase of the abilita platform, conducted by Ospedale Pediatrico Bambino Gesù, the ASL Rieti, and patients associations caring Alzheimer, Authism, Parenteral Nutrition, Pader Willi syndrome, deletion of cromosom 22. More associations are going to join the project whose purpose is to integrate the formal networks of the Health and Social services with the informal proximity network of the patients. 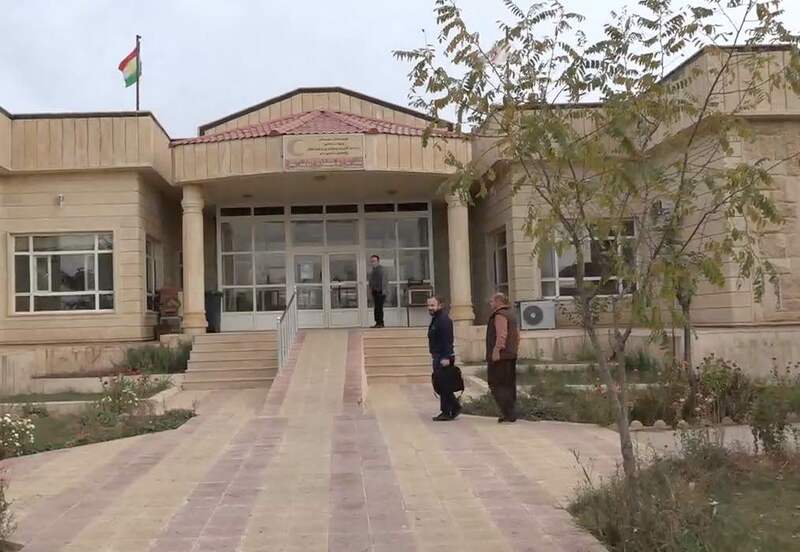 February 2019 - Autonomous Region of Kurdistan - Iraq - 10 new health centres joined the Epidemiological Surveillance program KRG-DHIS - the Project Team meet the Kurdistan Minister of Health - five kurdish students participating a PHd at University of Tor Vergata in Rome join in the project staff. 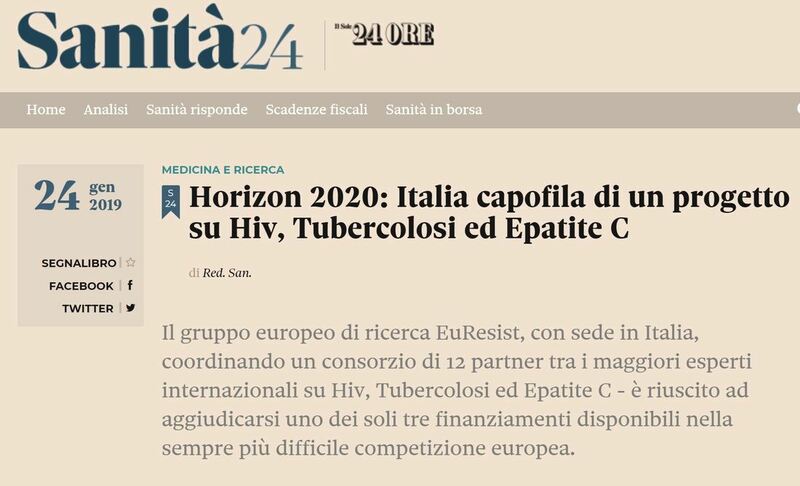 January 2019 - Rome - The consortium of the CARE project has held in Rome the Kick Off meeting, as reported by Sanità24; more than 30 people coming from Europe and Russia were involved, under the coordination of Euresist GEIE and with the Scientific Leadership of the the CHIP, Centre of Excellence for Health, Immunity and Infections of Copenhagen. December 2018 - The ABILITA2 project is among the initiatives for future developoments presented at the Italy-China week for Science Technology and Innovation; the participating projects were selected from those receiving public funds on the basis of the real interest that the projects may present for possibly international investors. 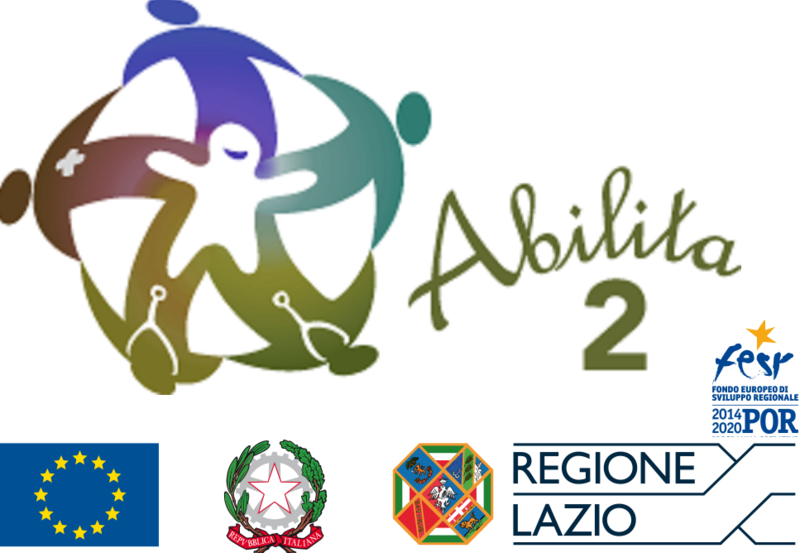 October 2018 - ABILITA2 is going to be presented by the Regione Lazio at the German-Italian Innovation Conference, in Berlin in November 20-21. The ABILITA2 project was selected by the Region, as representative of the Investment Program "Industria 4.0". 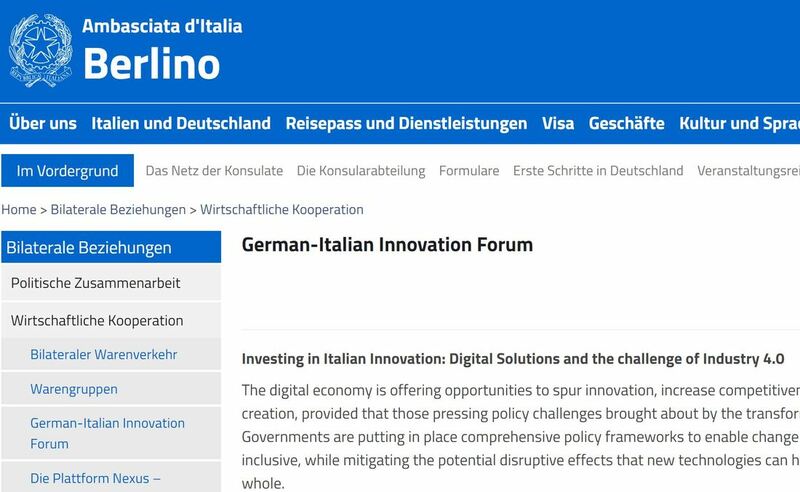 The event is organised by the Italian Agency for the Foreign Trade (ICE) and by the Italian Embassy in Berlin; it is focused on Life Science, Creativity and Smart mobility. 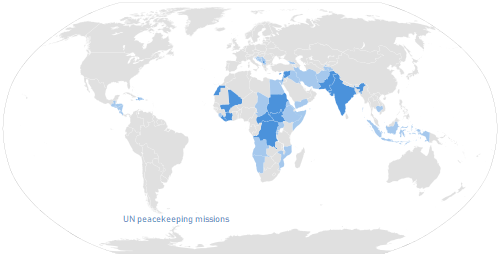 research outputs during the two years of the project timeframe. 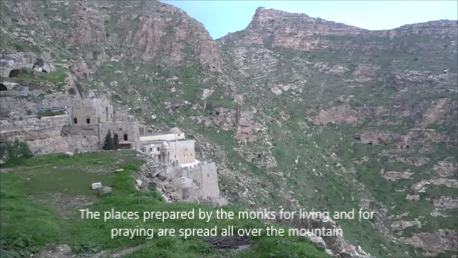 July 2018 - The KRG-DHIS Project enters in the next three years phase with the selection of the PhD candidates, conducted by the University of Rome Tor Vergata, and the first mission in the Kurdistan Region of the 2018, by the Project's Italian staff. 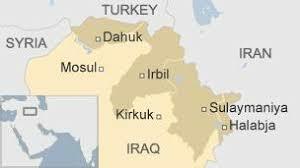 Iraq has just held the politic elections and in the Kurdistan Region the elecitons are scheduled in September. May 2018 - Cologne (DE) - at the RRZK Building of Cologne University started the first Euresist Mentor School, an on-site intensive session (30 EU participants), with a 9-months remote follow-up phase. EuResist Network proposes the EMS with the aim of training clinicians and virologists and the possibilities of using the EIDB and observational databases in general. EIDB the Euresist Integrated Db collects HIV resistance data of patients from Europe and beyond (>82.000 patients). April 2018 - The Company's financial statements for the year 2017 have been filed; the value of production increased significantly compared to 2016 (+ 49%); we have activities and projects in 3 continents (Italy, Europe, Asia and Africa), and as CRO we conduct 2 ongoing Phase 1 studies, plus several Phase 3 studies. March 2018 - Iraqi Kurdistan Region: The international flights ban imposed over the kurdish airports in October 2017 has been removed by the Iraqi government and the general operative plan of the next three years operations has been approved by the Italian Cooperation Agency; it is now possible to start with the operations of the KRG-DHIS project, managed by the University of Rome Tor Vergata, for expandig the coverage given by the Pilot Project. FESR Lazio 2014-2020). A Web Platform will be developed targeting Complex Care Populations, living with chronic illness or in areas where the delivery of healthcare services is particularly difficult. The test phase will involve also Province of Rieti, where earthquake took place in 2016. 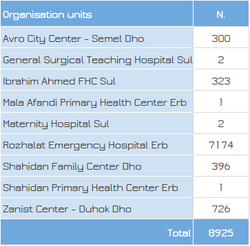 December 2017: the Epidemiological system in the Iraqi Kurdistan overpassed the 300.000 clinical events recorded, IPRO is partner in several projects going to be submitted for funding to international Research funder, and new projects are going to start; we wish times of prosperity and peace for the largest possible number of citizens in the world. We will work for the knowledge of the things. 15/11/2017 TIGEM - MEUSIX project - Q. S.
November 2017 - The Meusix Project first patient was treated at University Federico II Hospital in Naples; The treatment developed by the Consortium, was produced in the US and checked and validated in EU; the patient is now back to his Country and will be followed for the next three years. The Patients Community has high expectations in this experimental gene therapy aiming to cure the MPS VI, an highly invalidating and progressive condition. 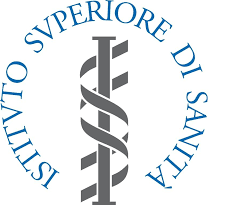 October 2017 - IPRO was contracted by Italian National Institute of Health (ISS) to provide all external support services for the implementation and management of the study TROCAR - observational project intending to assess the methods and the procedures adopted by the Italian Emergency Units for the patients admitted with a suspected NSTEMI. 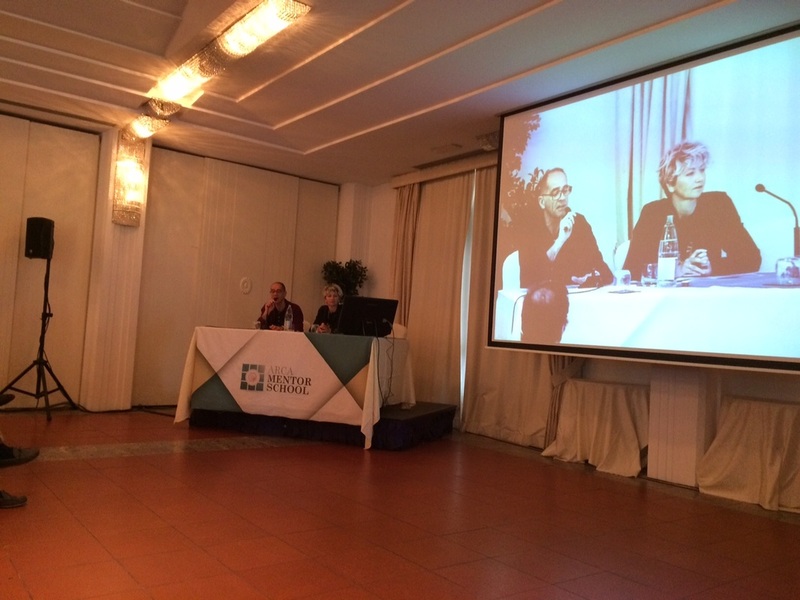 The study will collect and will analyze data of 6.000 patients in 12 Emergency Units in Italy. 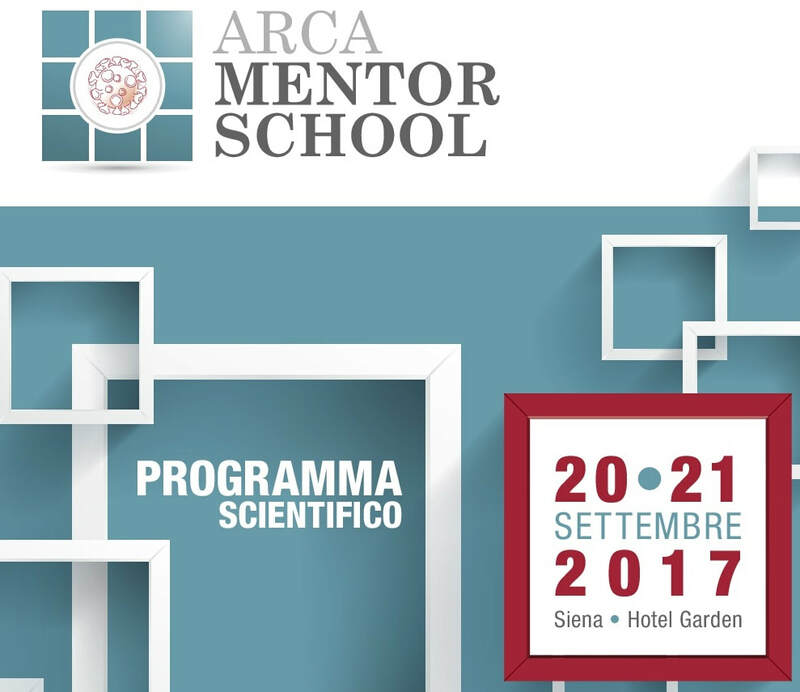 ​ARCA Mentor School 3 – the third edition of the training course was held in Siena and it was attended by Italian young clinicians and virologists expecting to learn how to manage data for their scientific projects. 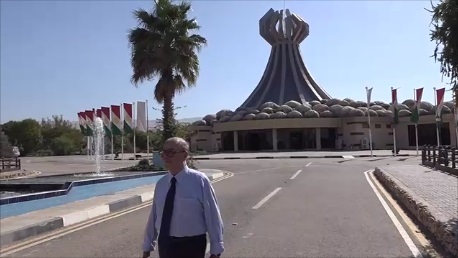 August 2017 - the Italian Agency for Cooperation and Development has deliberated in August 2017 to fund, toghether with the University of Rome Torvergata and the Kurdistan Health Ministry, for the next three years, the putting into effect of the health monitoring information system in the Kurdistan Autonomous Region. 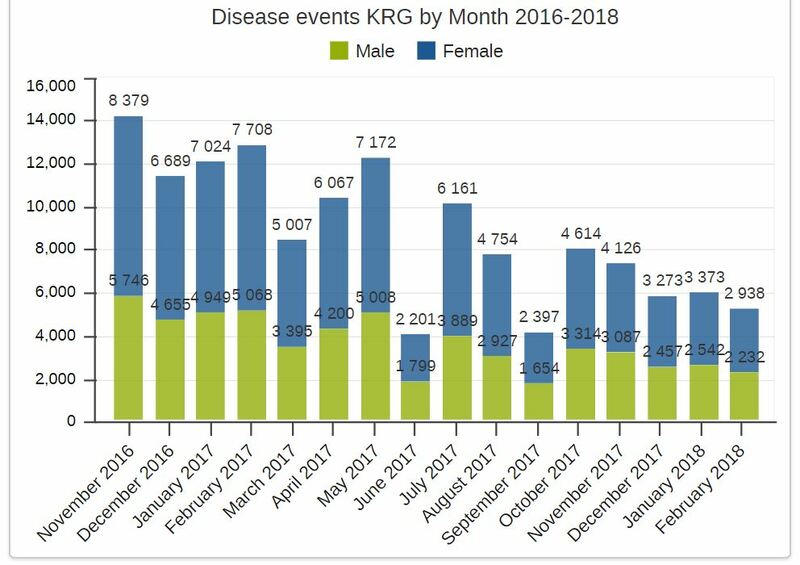 The KRG-DHIS system continues his path - the data collected up to now are over 270.000 health events. July 2017 - Yaoundé, Cameroon - Kick off of the cooperation with CIRCB - Centre International de Référence Chantal Biya - Within the National workshop on HIV test and treat strategy in Camerun, IPRO and Euresist presented the HIV drug resistance database for CIRCB Cameroon. Also, the first project meeting has discussed the system architecture. 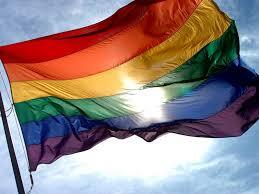 The HIVDR DB for CIRCB will be realised using the DHIS2 system, which IPRO has gained deep knowledge in. June 2017 - time of harvest for the ARCA-AMS Research groups: 6 publications have been presented: 2 posters at 15th EU Meeting on HIV & Hepatitis - 1 poster and 2 Oral Communications at ICAR2017 - 1 poster at National Congress SIV-ISV. 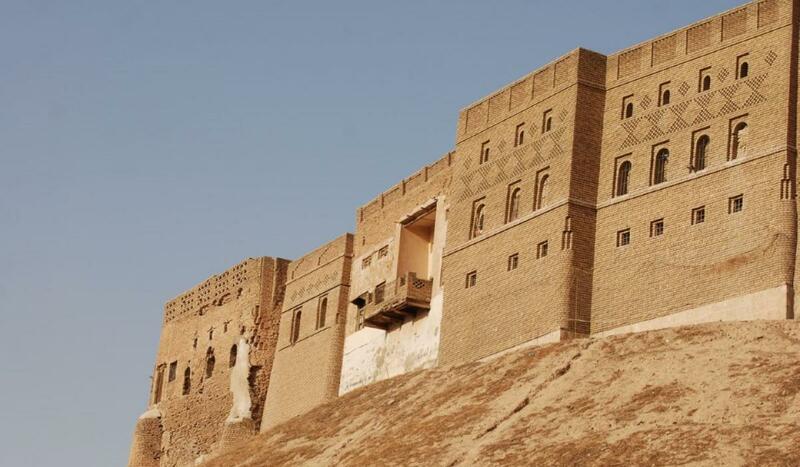 May 2017 - I-PRO starts a collaboration with the Ministry of Health of the Autonomous Region of Iraki Kurdistan, about the new website fo the Ministry; it is a free supporting initiative to the Kurdish Administration, in the framework of the existing collaboration. 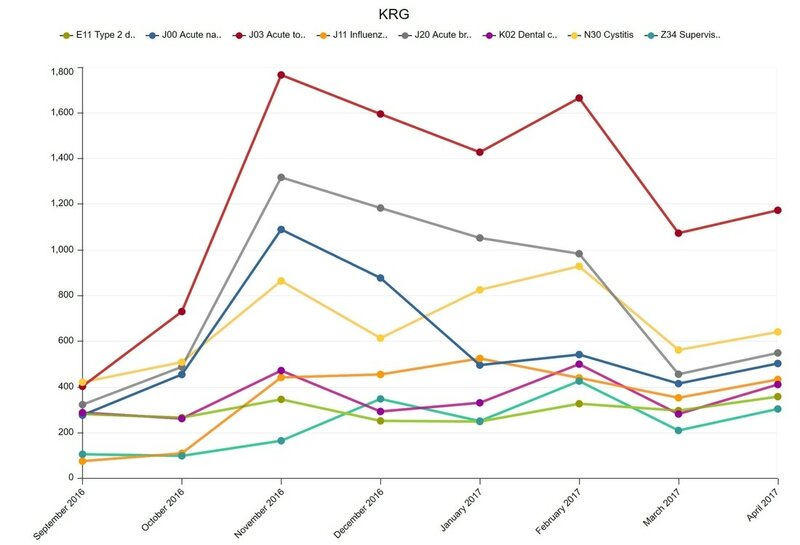 Moreover, I-PRO is going to produce a first analysis of the huge amount of data collected in one year of operation of the KRG-DHIS system.Paragraph. 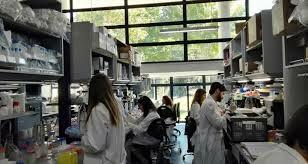 April 2017 - The Phase I/II Study in Subjects with Mucopolysaccharidosis type VI (MPS VI) Using Adeno-Associated Viral Vector 8 to Deliver the human ARSB gene to Liver, promoted by Fondazione Telethon, with IPRO as partner, is entering in the initial phase of the clinical trial, after more than three years for research, production and testing of the investigtion product for the gene therapy approach proposed. 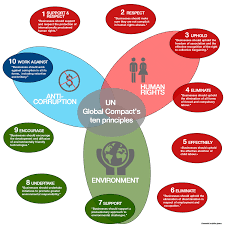 The project is co-funded by the European Commission. 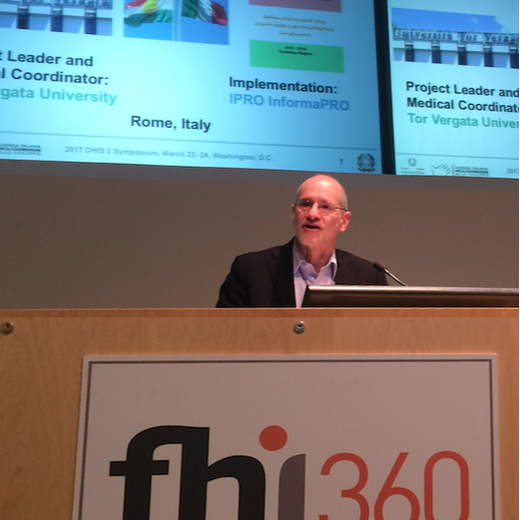 Washington D.C., 23-24 March 2017 - IPRO was at the 2017 DHIS 2 SYMPOSIUM presenting the KRG-DHIS project, together with the project coordinator from University of Rome Tor Vergata. 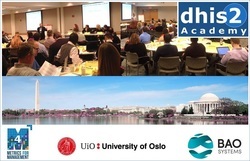 The community of the DHIS2 experts could gain a deeper view of the project's achievements and was involved in the possible future developments. 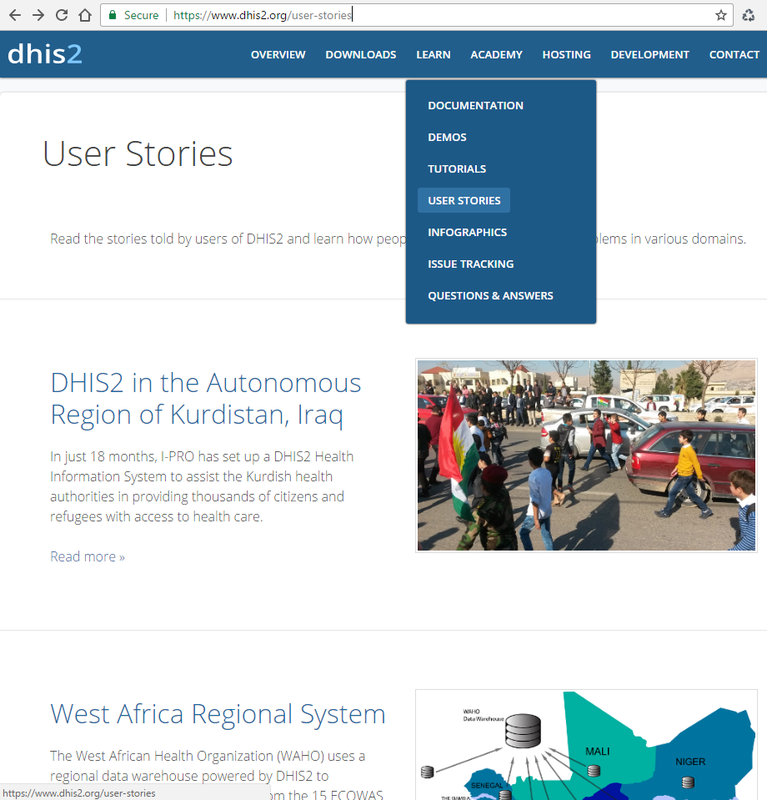 Oslo, Norway - Feb 2017 - DHIS2 community, coordinated by the Department of Informatics at the University of Oslo selected as the User Story of the month our KRG-DHIS Pilot project, funded by the Italian Ministry of Foreign Affairs and International Cooperation, led by the University of Rome Tor Vergata in cooperation with the Ministry of Health of the Kurdistan Regional Government, and realized by I-PRO and EuResist Network. 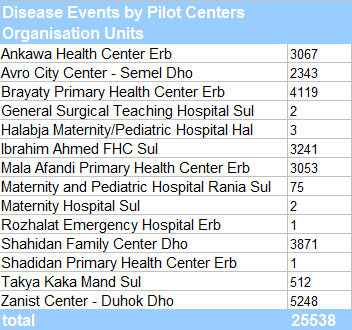 DHIS 2 platform is an open source software for reporting, analysis and dissemination of data for all health programs used by more than 40 countries. The Meusix European project breaks the news in L'ESPRESSO, Italian large public weekly magazine. 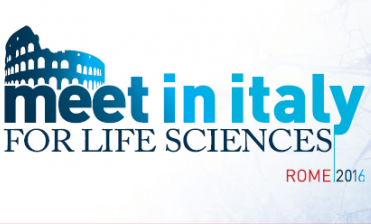 I-PRO's representatives are at the 3rd edition of Meet In Italy for Life Sciences (MIT4LS2016), an international event designed to boost business, partnering and networking opportunities in the life sciences sector. 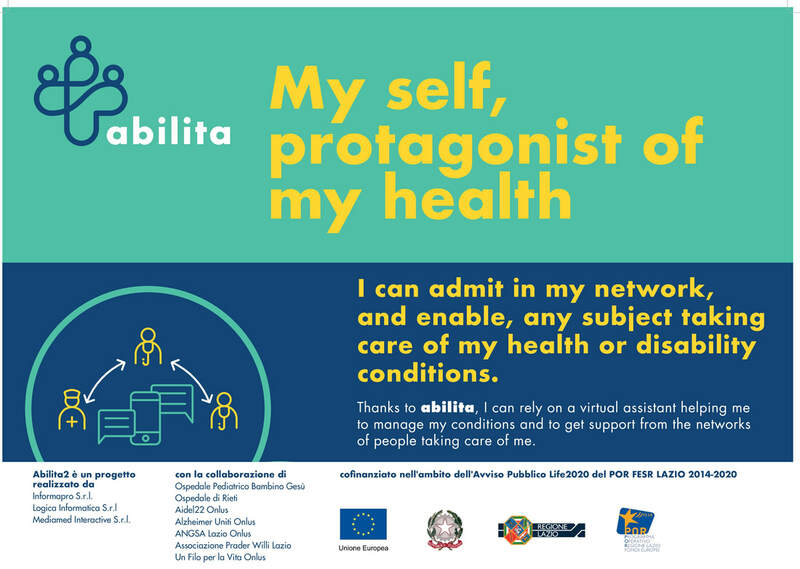 Projects ABILITA and CaRING are presented to universities and research centers, regional clusters and private companies, coming from different EU countries. 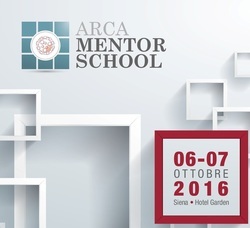 ARCA Mentor School 2 – the second edition of the training course will be held in Siena in 6th and 7th of October. The final Programme is available below. IPRO has approved and registered the financial statements for the year 2015. The total turnover of the company had a 78% increase from the previous year, net of fixed assets. We all consider this as a recognition of the quality of our work, but also a commitment for 2016: we will improve the quality of our services and the amount of our efforts and of our international relationships. The attention to the scientific merit of the projects will be commensurate with the increased economic value. 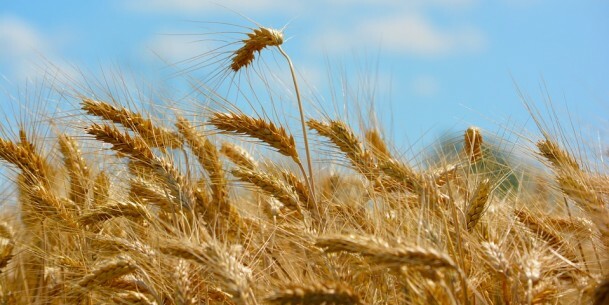 EDEN and ECSTATIC grant applications passed to second-stage evaluation. The two EDTCP (European & Developing Countries Clinical Trials Partnership) proposals, positively evaluated at the first-stage, have now been submitted to the second-stage. They see the participation of I-PRO in partnership with KNUST (Ghana), KI (SE), UniSiena (IT), IDI (Uganda), BNI (DE), Arsi University (Ethiopia), University of Liverpool (UK), Cavidi (SE), UniKoeln (DE), EuResist Network, CREA (IT), HHU (DE), MPI (DE). call H2020-SMEInst-2014-2015 (H2020-SMEINST-1-2015) in the area of Open Disruptive Innovation Scheme. Following evaluation by an international panel of independent experts, PINGURO was successful in a highly competitive evaluation process, as an innovative project proposal. Download available here. 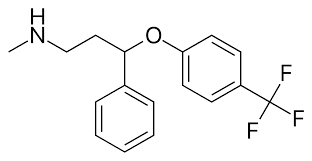 I-PRO was appointed to support innovative research into the use of fluoxetine in pediatric patients, suffering from Down syndrome. 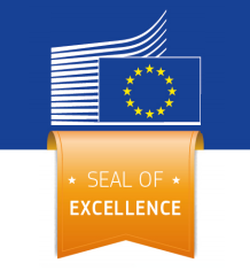 ​I-PRO received the European Commission's Seal of Excellence for "PINGURO". 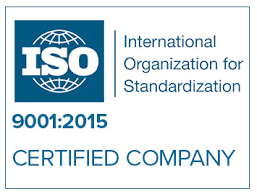 I-PRO is certified UNI EN ISO 9001-2015 for the design and distribution of services in Continuous Medical Education (CME) and clinical research for pharmaceutical companies (CRO). 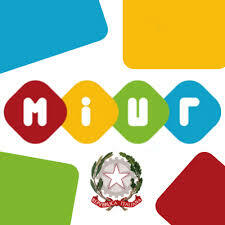 I-PRO is registered in the list of the National Research MIUR (Ministry of University Education and Research). EuResist developed a drug interaction modeling tool that lets users predict the success rate and impact on virus evolution of various drug combinations via an online portal.